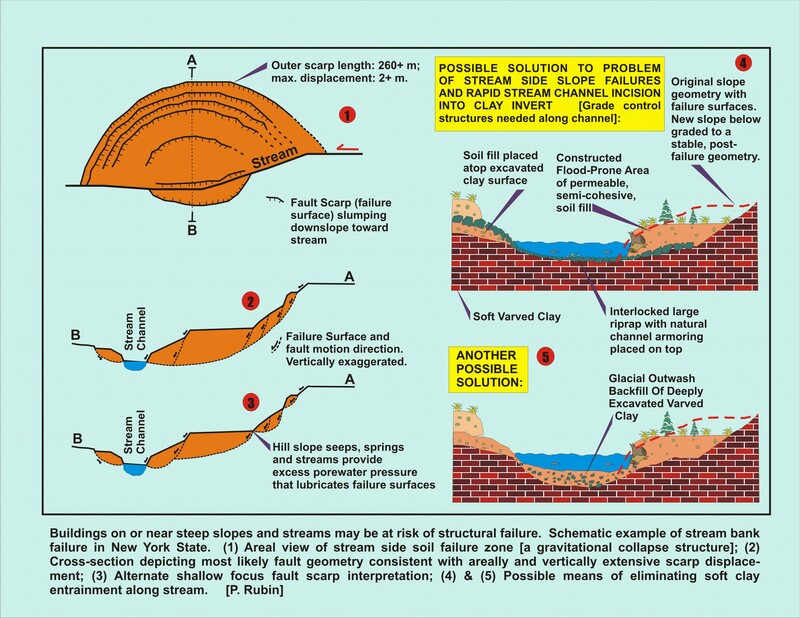 Expert Consultant in Hydrology, Karst Hydrology, Geology and Hydrogeology. 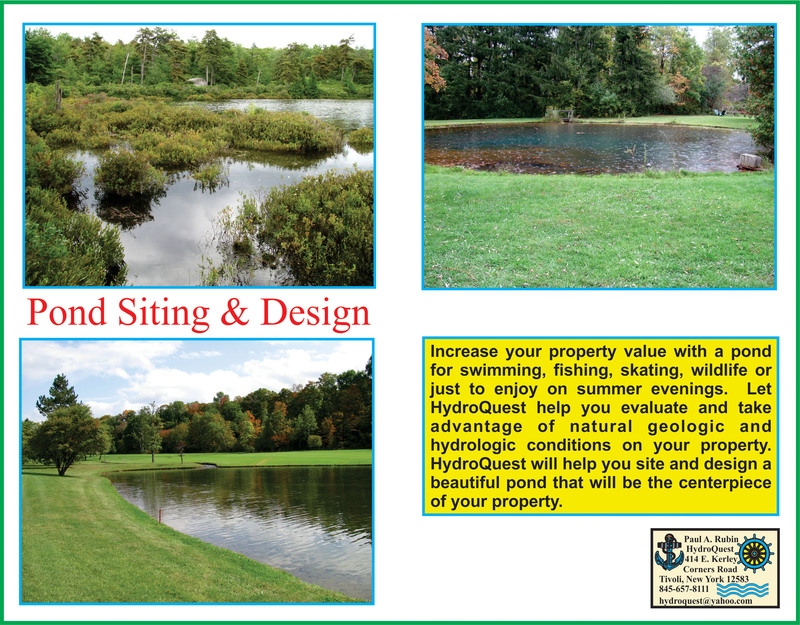 HydroQuest can assist you in wisely selecting property for your home or business. Additionally, HydroQuest can evaluate existing geologic and hydrologic conditions on your property that may be contributing to wetness and building settling or may be taken advantage of to create a beautiful pond. 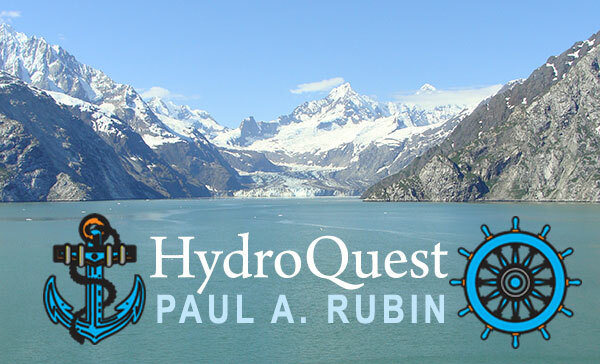 Thinking of buying a cave or mine for possible commercialization - contact HydroQuest. 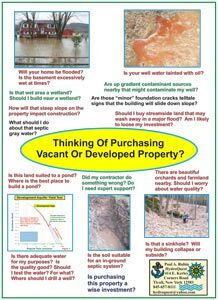 Thinking of Purchasing Vacant or Developed property? 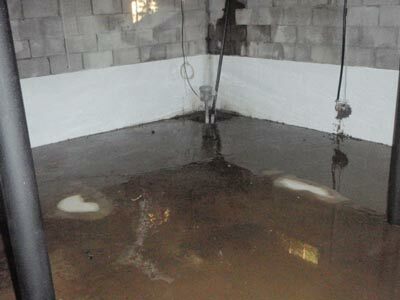 Will your home be flooded? Is the basement excessively wet at times? Is that wet area a wetland? Should I build near a wetland? How will that steep slope on the property impact construction? What should I do about the septic gray water? Is this land suited to a pond? Where is the best place to build a pond? Is there adequate water for my purposes? Is the water quality good? Should I test the water? For what? Where should I drill a well? Is your well water tainted with oil? 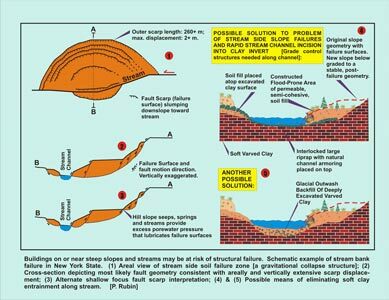 Are up gradient contaminent sources nearby that might contaminate my well? Are those "minor" foundation cracks telltale signs that the building will slide down slope? Should I buy streamside land that may wash away in a major flood? Am I likely to loose my investment? There are beautiful orchards and farmland nearby. Should I worry about water quality? Is that a sinkhole? Will my building collapse or subside? Did my contractor do something wrong? Do I need expert support? Is the soil suitable for an in-ground septic system? I can help with all these questions. 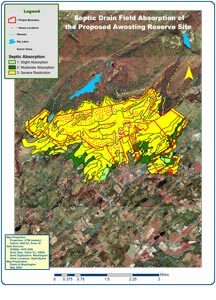 Long before the principal of HydroQuest was consulting full time, he worked with concerned citizens to evaluate the quantity of water available in Minnewaska Lake, as well as in nearby wells and the Peters Kill for a proposed large-scale private resort. Major field work, hydrologic analysis, and report preparation documented the lack of sufficient water needed to advance the project. 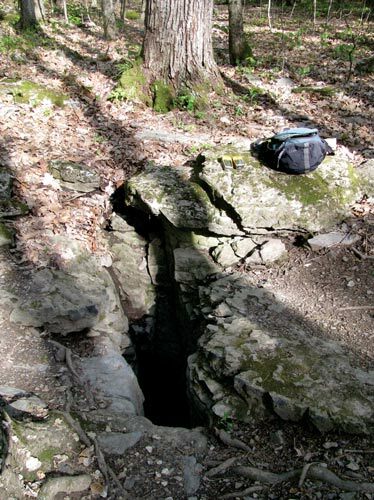 Today, this area is known as Minnewaska State Park Preserve.